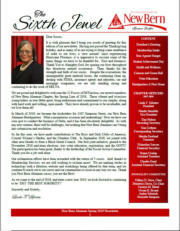 New Bern Alumnae Chapter Delta Sigma Theta Sorority, Inc.
© This site is the sole property of the New Bern Alumnae Chapter of Delta Sigma Theta Sorority, Inc. . All rights reserved. Greetings! 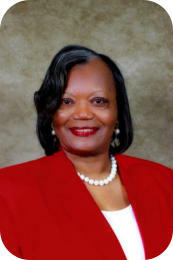 I am delighted to welcome you to the official website of the New Bern Alumnae Chapter of Delta Sigma Theta Sorority, Inc. It is the chapter’s goal to ensure that, through this venue, our valued stakeholders will be informed and enlightened regarding the various activities in which the New Bern Alumnae Chapter is involved. Delta Sigma Theta Sorority, Inc. is a national public service organization; one of the major objectives is to give back to the local and international communities through many public service activities. In addition to Jabberwock scholarships, each year, through the Delta Scholarship Program, one senior from each of the six area high schools receives a $1,000 scholarship to help further his or her undergraduate education. Also, for more than 35 years, New Bern Alumnae Chapter has hosted our annual, signature Student Achievement Day Program, where area middle and high school students are celebrated for excellence in academics.